Dermal fillers work in a slightly different way. They do not act on the muscle as is the case with botulinum. 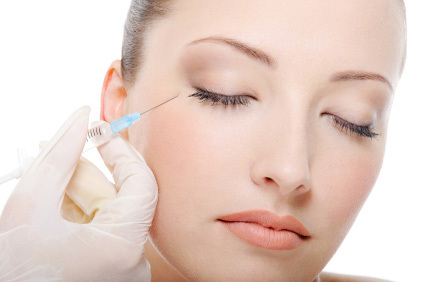 Dermal Fillers work by replacing hyaluronic acid in the body. Hyaluronic acid is a naturally occurring substance in the body which helps to add hydration and volume to the skin. Natural hyaluronic acid is constantly broken down by the body and is replenished constantly. Unfortunately as we age, this regeneration process slows down, resulting in the diminishing of the plump, firm skin we enjoyed when we were younger. This is where the treatments we offer can help. We only use the very best products in our treatments. One of the reasons we use the Juvéderm® ULTRA range of products is because they are “the only line of hyaluronic acid (HA) dermal fillers that offer customisable results proven to last up to 12 months.” Also it’s currently the only hyaluronic acid filler to include an anaesthetic which results in much less pain during the procedure. It is also very smooth and natural looking, meaning that although people may notice a difference, they won’t know you’ve had anything done! Each treatment will be individually tailored to the patient so the amount and type (the viscosity of product varies depending on what areas we are treating) of filler needed per procedure will vary from patient to patient. We will assess this all at your pre-procedure consultation. Juvederm Ultra is an injectable treatment. It is made from hyaluronic acid, which is a naturally occurring substance in skin that helps to hydrate and add volume. Hyaluronic acid diminishes with age, contributing to the formation of wrinkles and folds. Juvederm Ultra injectable gel work to correct this by restoring hyaluronic acid in your skin, helping to smooth wrinkles and folds. EpicDermis offers a wide range of cosmetic aesthetics including, Dermal Fillers, on a one to one personal level by qualified doctors.